This week's word for the 52 Snapshots of Life Photo Challenge is MOTHER. I thought it would be appropriate to share one of my favorite, more recent photos of my own Mom with Shiner. This photo was taken when she was having her chemotherapy treatment. Shiner loved her Grandma very much. In fact, she would even listen to and mind my Mom better than me sometimes! We hope you all have a wonderful weekend! 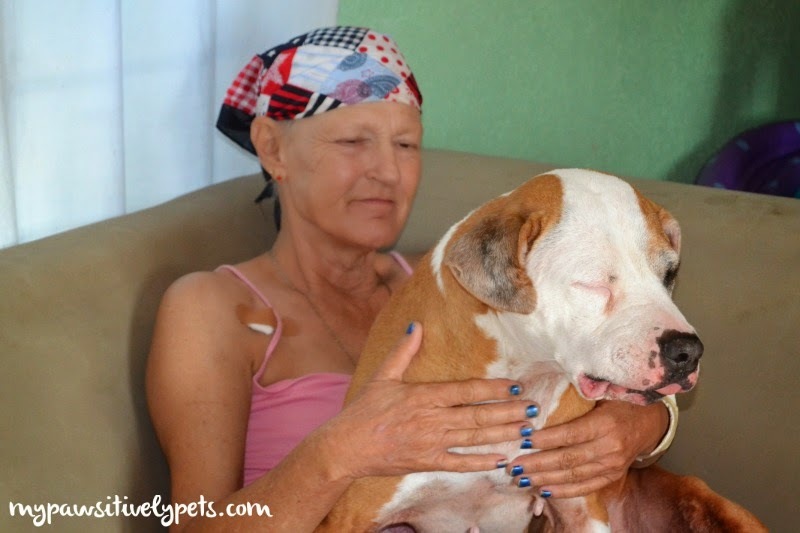 Thanks to The Lazy Pit Bull for hosting this photo challenge. You can check out more photos from the challenge at the links below. That is a beautiful photo to share for this theme, Ann. Such a special memory. That's a lovely photo, and a great memory of your mom, Ann. Hugs and purrs to you. That sure is a sweet photo. Great photo and remembrance of your mother. Very touching and beautiful photo. This certainly is beautiful memory of a beautiful woman! I'm glad Shiner had a great relationship with your mom!